Established in 1935, the Greater Easley Chamber of Commerce is the voice of business that promotes an ideal business environment, which encourages growth and community development with a concern for the people by continuously improving the quality of life in the greater Easley area. 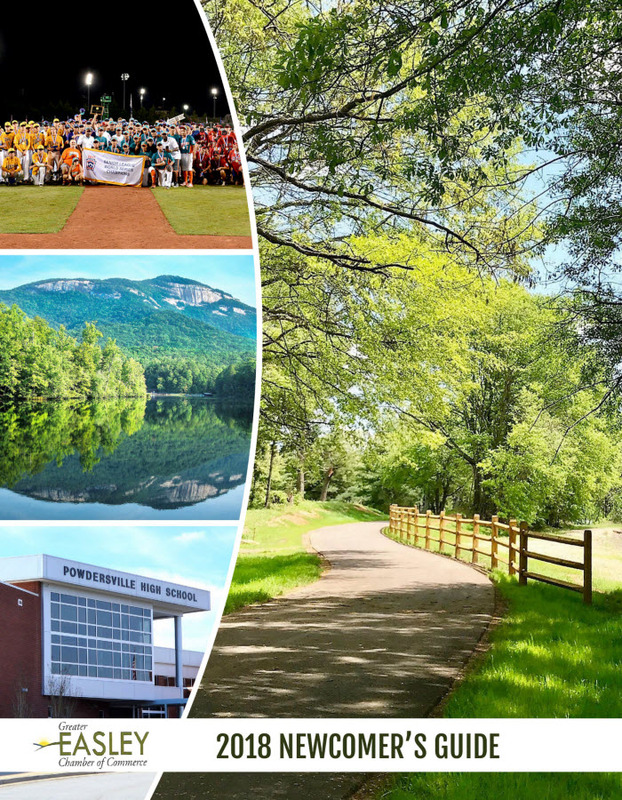 As a membership organization comprised of approximately 400 local businesses, our Chamber facilitates communication, dialogue, and collaboration between community and business leaders in the public and private sectors for both Easley and Powdersville. As the Visitors Center, we provide tourism and newcomer information about Easley, as well as the surrounding areas of Pickens County and Upstate South Carolina. Whether you are a visitor, resident or Chamber business member, we encourage you to utilize this website to explore what the Easley area and our Chamber have to offer. On behalf of the Greater Easley Chamber of Commerce, welcome to Easley! Our Newcomer's Guide has been developed to serve as a valuable resource and guide to the Easley and Powdersville areas, as well as our local businesses. The individuals included in the guide are committed to and actively involved in making our community a better place to live, work, and play. Nearly 85% of our membership represents smaller businesses and we encourage you to use this resource (located on the left) to seek out and support our local business partners. Whether dining downtown, walking the Doodle Trail, or competing on our athletic fields, all who visit will surely discover the history and southern hospitality in which we pride ourselves.